The compact and robust CULP Series 700 bar lift ring cylinders – in capacities from 10-100 tons, with 6mm stroke – are designed for applications where high lifting forces and extremely low starting heights are required in confined spaces, starting at 2.8mm. Weighing from 1-11.5kg for easy placement and operator convenience, the robust cylinders offer up to 4 per cent side load at maximum capacity, as well as incorporating stop ring protection for maximum stroke limitation to avoid damage and downtime. “One of the big advantages of high-tonnage ultra-flat cylinders is that operators can stably and progressively lift the load from beneath, keeping it precisely balanced. Cylinders such as these also provide a lifting solution where access for overhead lifting is restricted or non-existent,” says Enerpac National Sales Manager Mr Darryl Lange. Another major advantage is that the cylinders feature the ultra-flat cylinder design proven for harsh conditions in Australia, New Zealand and Papua New Guinea in the complementary series of CUSP cylinders, in capacities from 1-1000 tons and with lifting strokes of 7-17mm (or 6-10mm with tilted stroke). The new cylinders’ nitrocarburised protection is also shared with CUSP cylinders, providing sideload resistance and corrosion protection for safe use in the harshest conditions. 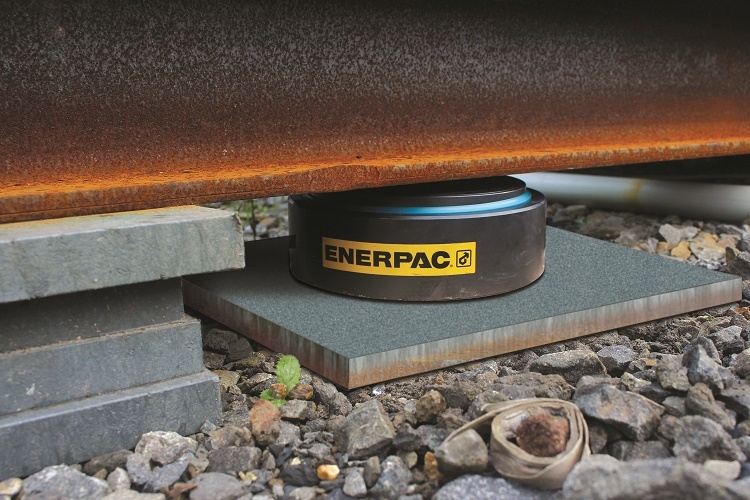 The protection is also shared by Enerpac’s new RLT low-height telescopic cylinders, which provide longer cylinder strokes of 17-40mm in confined spaces. “The new cylinders are complemented by Enerpac pumping solutions in more than 1000 configurations, proven throughout Australasia for applications prioritising speed, control, intermittent or heavy duty. Pumping solutions include P series Hand Pumps, XC series Cordless Pumps, XA series Air Driven pumps, ZU4 series portable electric pumps, ZE series Electric Pumps and SFP series Split Flow pumps for multi-point lifting and lowering applications where uneven loads need to be positioned equally.